All my yesterday. Also a mouse. Almost 25 years ago, researching the Sandman story that would become A Game Of You, I read up on New York and Hurricanes, and how very ill-prepared Manhattan is, and how vulnerable. I worry about my East Coast friends, and I'm glad that Sandy isn't a full hurricane. Stay safe. Yesterday morning started early with the Today Show on BBC Radio 4. You can read about it and hear about it at http://news.bbc.co.uk/today/hi/today/newsid_9764000/9764349.stm. Philip Pullman and I talked about fairy tales, as a warm up to talking about them onstage at the Cambridge Theatre last night. After lunch I looked at my phone, and learned that Philip Pullman had gone to hospital, and that the Cambridge Theatre would now be me and someone else. In the end the part of Philip Pullman was played by three other people: author Meg Rosoff, interviewer and moderator Rosie Boycott, and (special guest Philip Pullman) Audrey Niffenegger, who read The Three Snake Leaves from Philip's Grimm Tales. 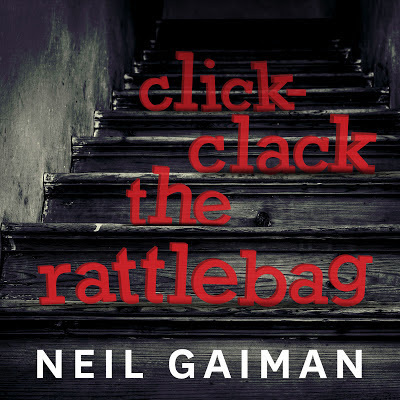 I finished the evening by reading "Click-Clack the Rattlebag" to everyone, and telling them they could get it free from Audible. Then I did a signing, which was one of the mad kind, because there were many hundreds of people to sign for before the theatre closed. Did it all, stumbled away, hugged friends, ate dinner, bumped into more friends (including special surprise what-the-hell-are-you-doing-here friends Margaret Cho and Andrew O'Neill), and got home knackered but happy, throat sore from talking too much. The housemouse that's living in the place I'm staying has ignored all the humane traps I put down and instead ate most of a probar and an entire packet of airplane peanuts from inside my jacket pockets. It is wiser than I am, at least in the ways of mice and men. I went to see Arthur Darvill and a wonderful cast in Our Boys at the Duchess Theatre. Funny, sad, moving, relevant -- and playing to a house that seemed about half full, which seemed wrong. (Arthur has promised me music.) If you're in London, go and see it. 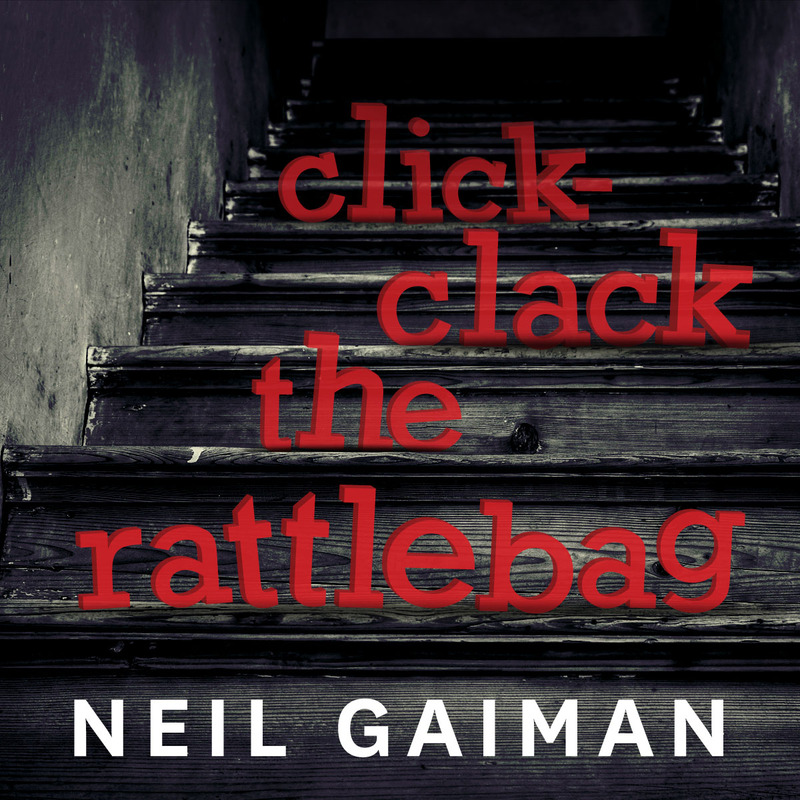 SO FAR "Click-Clack The Rattlebag", the free audible download, has raised about $31,000 via the US website for Donor's Choose, and about £5,700 via the UK website for Booktrust. There's been a fair amount of confusion and problems with people signing into or signing up for Audible or getting it to play, for which apologies: I think the biggest problem with something like this is the speed with which it was put together, and I appreciate those of you who have made it work. The story is up and free for another 36 hours. If you are in the UK it's http://www.audible.co.uk/scareus, for most of the rest of the world it's http://www.audible.com/scareus. (Germany is http://www.audible.de/pd/B009VHP3TG). a) it was before and after her performance at Koko's four years and two weeks ago that I realised that I was actually in love with her, and decided that my life was probably going to have to change a lot. I realised how far I'd come and how much I'd changed on Tuesday night, as I sang "Psycho" on a stage with an orchestra of four magical musical saws (and Amanda on ukulele, and Jherek on banjo) and I wasn't really scared at all. And I was singing. 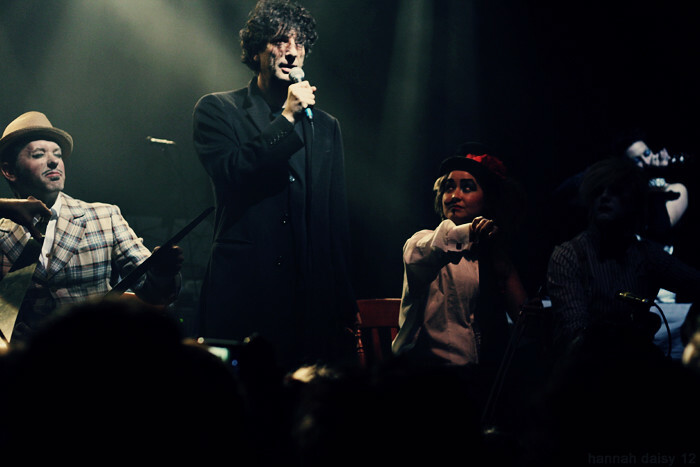 I was the least unexpected of three guest stars (the other two were the awesome Scroobius Pip, and the ageless and legendary Richard O'Brien, who sang the Time Warp). The evening had an overlay of sorrow. Just before Amanda went on we learned that Becca Rosenthal (aka Becca Darling) had passed away. Becca was a friend of Amanda's in Boston with impeccable taste. She and I became friends when she performed in my short film Statuesque (she was the airman human statue who gets hugged by young Liam McKean). She was too young, too smart and too funny to be gone. I'll miss her very much. After the gig was done Amanda walked me home from Koko's to the place I'm staying. We sat out on the roof and talked about life and love and time and death, and then I walked her back to the bus. And she went back on tour, and I walked home again and went to sleep. And then I go to Nantes for the Utopiales Festival, where I will get to spend time with Dave McKean, and see Michael Moorcock and Nancy Kress and Norman Spinrad and other old friends. The Tenth Anniversary reading of CORALINE is underway over at the Mousecircus.com website. Also, in case you are wondering: I'm really a bit nervous: the table read of my episode of Doctor Who is next week. Think good thoughts at us. I'll try and post some photographs afterwards. Oh, and for the curious, the episode will be called ███ ████ ████████ . Only with letters instead of Ascii Blocks. Unless we change the title again before it's broadcast. Which might well happen, actually. I mean, it was originally called █ █████████ ██ ██████. I had a meeting at Harper Collins. They showed me the mock-ups of covers for THE OCEAN AT THE END OF THE LANE, my next novel for adults, which comes out in the US and the UK on June the 18th 2013. I really like the direction they are going in. I have no image to show you, though, not yet. 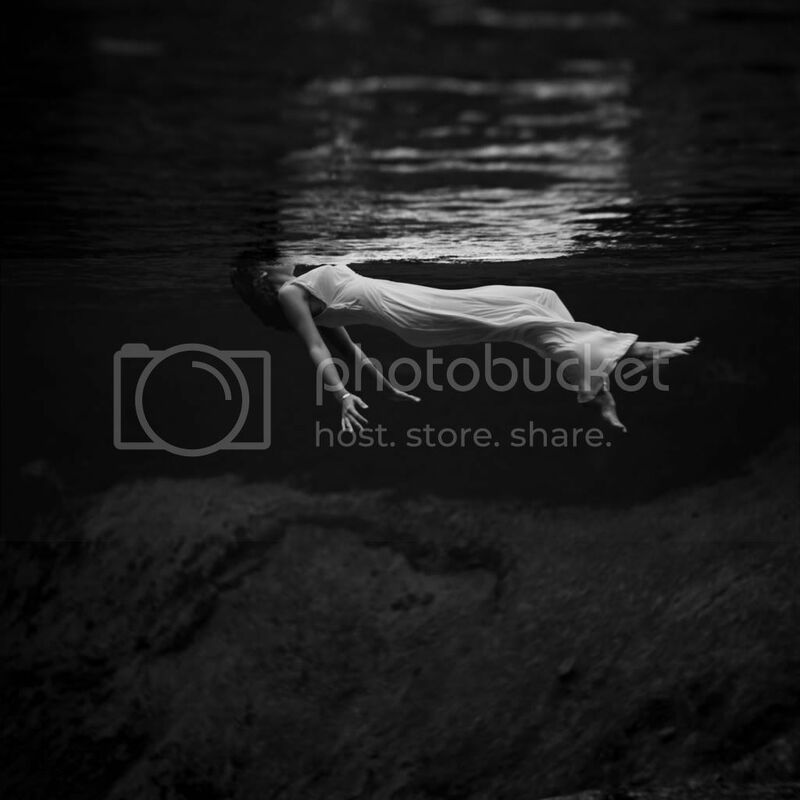 Here's a 1947 Life magazine (I think) photo taken in Weeki Wachi that I love, and that I sent to the publishers when we first started talking about cover designs, for you to look at while you're waiting for the real cover. 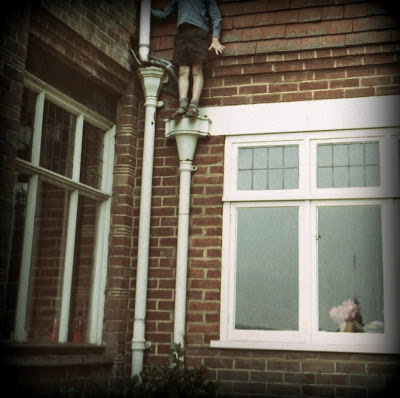 And here's a photograph of me climbing down a drainpipe in the spring of 1968. The Ocean At The End of the Lane is a novel about memory and magic and survival, about the power of stories and the darkness inside each of us. 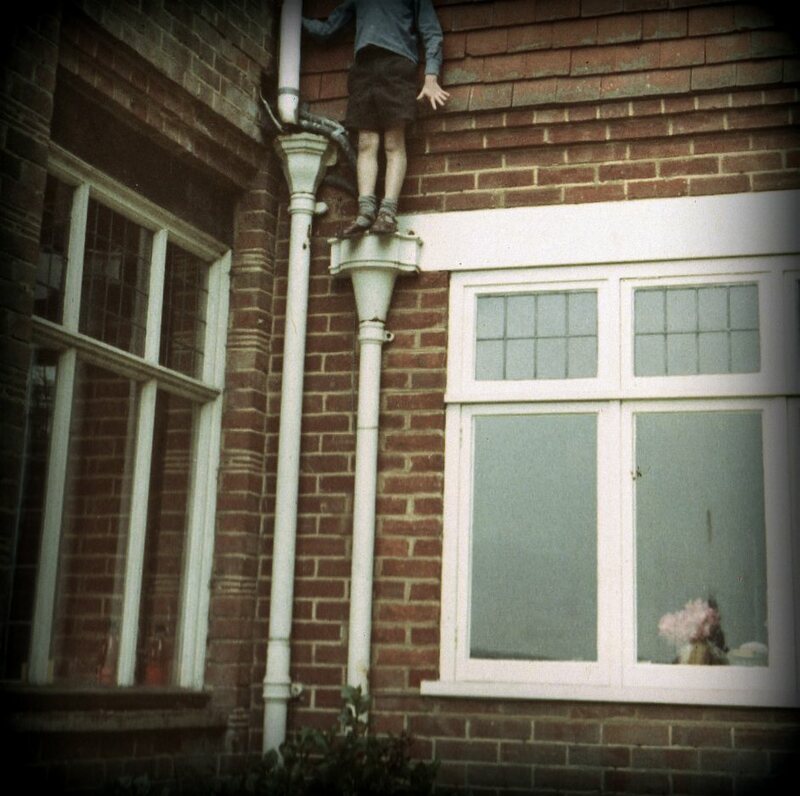 It began for our narrator forty years ago when he was seven: the lodger stole the family's car and committed suicide in it, stirring up ancient powers best left undisturbed. Creatures from beyond the world are on the loose, and it will take everything our narrator has just to stay alive: there is primal horror here, and a menace unleashed -- within his family, and from the forces that have gathered to destroy it. His only defense is three women, on a ramshackle farm at the end of the lane. The youngest of them claims that her duckpond is an ocean. The oldest can remember the Big Bang. The Ocean at the End of the Lane is a fable that reshapes modern fantasy: moving, terrifying and elegiac -- as pure as a dream, as delicate as a butterfly's wing, as dangerous as a knife in the dark. It's already up on Amazon US for pre-order. I got a note from my Polish translator the other day saying that it made her cry, and I know it was just bought in Brazil, so I hope it will be coming out in other countries relatively close to to US & UK publication date. 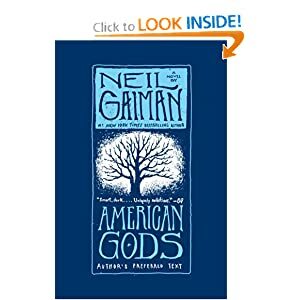 Also, Amazon has an image of the new US paperback cover of American Gods up. There will be a uniform set of paperback covers for the first time in the US coming out over the next year -- different colours and images, but they'll look and feel a lot like this. Harpers asked me to mention that they have a sale on right now on the Enhanced ebook of American Gods. It comes with some audio-visual content (although some people with regular Kindles have said on Twitter that they got the regular version when they bought it). Here's the Barnes and Noble link. and here's the ITunes link. The sale runs until election day - November the 6th. The links probably won't work if you're outside the US. Sorry about that. Last night I saw Helen and Edgar, Edgar Oliver's one man play/ performance/virtuoso piece of first person storytelling. It's in a small theatre, Theatre 80, at 80 St Mark's, and it runs until October the 27th. It was funny and it was heartbreaking, something both at the same time. It was a triumph, got a standing ovation, and as I listened to the people in the audience talking about coming back and bringing their friends, I thought I should blog about it now, because otherwise there will not be any tickets available if someone out there wants one. And if you are in New York, you should want one. There is nothing like Edgar's voice, and his stories (all true, all personal) about growing up in Savannah as part of a family of three - his sister Helen, a year older than he was, himself, and is mother, who was quite mad, and a painter, and was thought locally to be a witch because when she was too troubled she would climb onto the roof and rant at the heavens -- are like no-one else's stories. Mr. Oliver is a living work of theater all by himself, and the gestures of his pale, long-fingered hands and the restless expressiveness of his hollowed-out eyes seem completely of a piece with his benevolent horror-movie voice. But there's nothing horror-movie about Helen and Edgar (except for the story about the swimming pool and the watermelons, of course). It's really gentle. It's a love story about family, and how families buoy you up, and shape you, and how you escape them. Finally, the Humble Bundle. Would you like a ebook of the graphic novel SIGNAL TO NOISE, by me and Dave Mckean? How about books by John Scalzi or Corey Doctorow, or Kelly Link? And would you like to be able to get most of them on a PAY WHAT YOU WANT basis? With money going to three excellent charities? And with you able to decide how much money goes to whom? It was launched yesterday and already over 31,000 have been downloaded. People have paid an average price of about $12 for their bundles so far. Head over and look at the Humble Bundle website, where you will learn that Mac users are more generous than Windows users, and that Linux users are the most generous people of all. 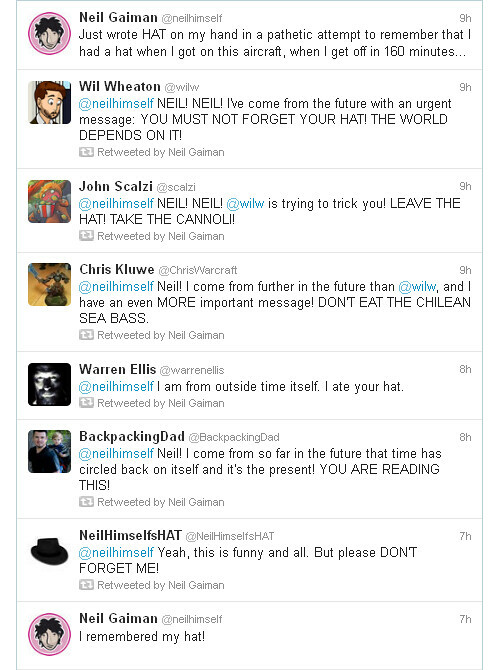 I am not a very good hat person. My hair is wrong, and it defaults to Harpo Marx when a hat goes onto it -- and Harpo needed a wig to get that look. But I am determined not to lose this one. Hence this twitter exchange from the other day. Today William Morrow and Headline books will both announce that they are publishing THE OCEAN AT THE END OF THE LANE next year. It's also being published in other countries - I know because I've started getting notes from foreign translators saying it's their favourite of my books, and it made them cry. I have never got notes like this before. It is very nice, and very odd. I'll be in Tasmania, at the Mona Foma festival, on January the 20th. I'm at the Theatre Royal in Hobart (which Tim Minchin assures me is a perfect theatre), and I'm doing an Evening With Neil Gaiman. Stories and suchlike. Jherek Bischoff and I are planning the music to accompany at least one of the readings. We love Neil, which is why we keep asking him back: to transfix us with his stories, which are spooky and funny, and have won shitloads of awards, too many to mention. There’ll be music, too, by Jherek Bischoff and local musicians, and a special guest…hint: Neil’s got the hots for her, massively, and she has a ukulele. I'm looking forward to going back to Tasmania for a lot of reasons, not least of which is I get to see the good people at the Book End Trust, and help with their educational mission. Also I may get to feed Tasmanian Devils again. I'm waiting for someone to send me some photos before I put up my YouHaveNoIdeaHowProudAFatherIAm post about my son Michael's wedding to the very lovely Courtney. I put away my phone for the whole of it, and decided to just be there, and not record it, and I am glad that I did. Some moments you keep in your heart. You could have reached and up and picked them. dividing the sheep from the goats of them. pulsed like a ruby in his hand. The kids love this. He put it down, and it kept beating. The kids, they go wild for it. huge as horses they loomed on the side of the hill. fat foolish flies that hover or sit for a moment too long. You don't have to hit me over the head with it. This is where you get to spill your guts. You killed in there, tonight. See this? This is the bit the kids like best. This is what they come to see. and the stars were all alone. Just them and the moon in a luminous bruise of sky. And this was the miracle of the fishes.